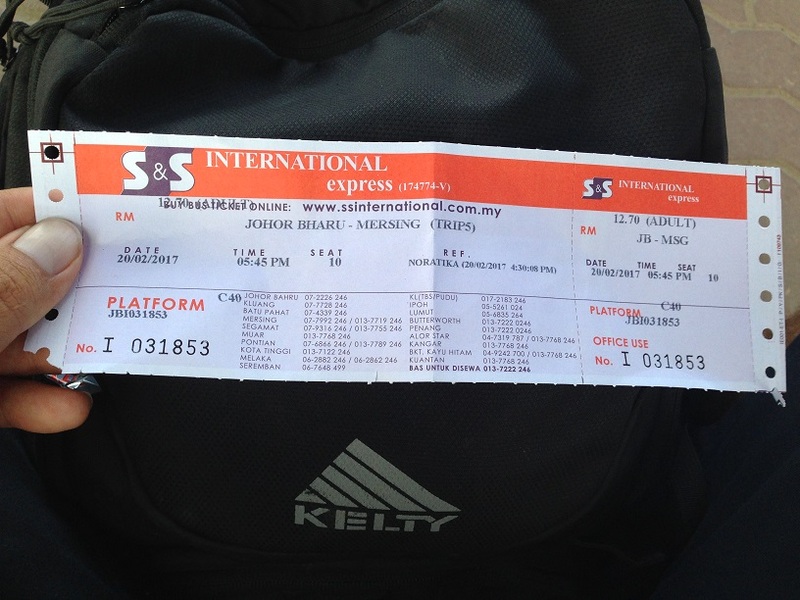 When I first decided to go to Tioman Island, I found very little information on how exactly to get there! After piecing together bits of directions, timetables, and recommendations here and there, I did manage to finally find my way. Seeing how difficult it was to find accurate information ahead of time, I decided to document every step of the way myself and put together this handy little guide. Check out the July 2018 ferry schedule to Tioman island from Mersing here or the CataFerry and Gemilang ferries from Tanjung Gemok. The August 2018 ferry schedule to Tioman island is also now available, from Mersing here or the CataFerry and Gemilang ferries from Tanjung Gemok. Looking for guesthouses in Tioman Island? I highly recommend Cheers Chalet (just 2 minutes walk to the beach) or Tioman Cabana (right on the beach!). My pedal-jumper airplane from Alor Setar to Johor Bharu! Starting your journey to Tioman from Johor Bharu is the most common route for those coming from Singapore. I too started from there after flying down from Alor Setar! 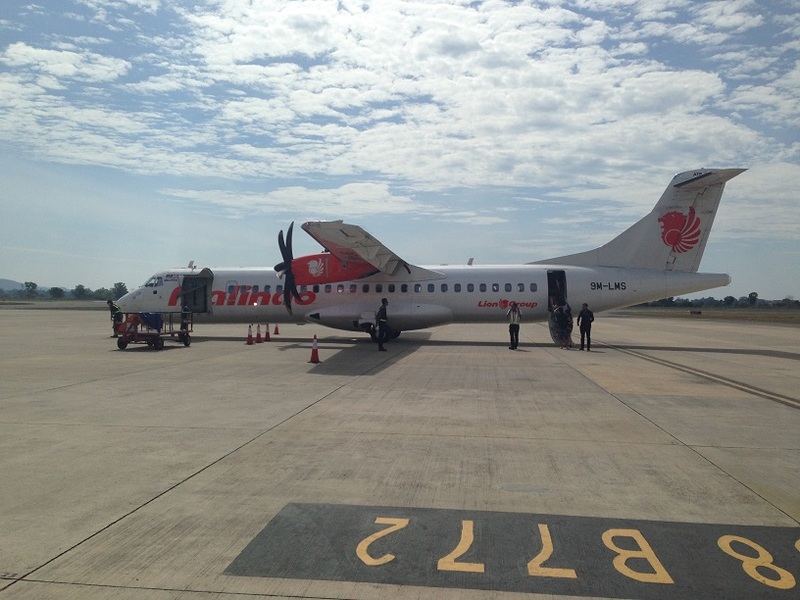 All of the major northern airports (Langkawi, Alor Setar, and Kota Bharu) have flights directly there, as well. 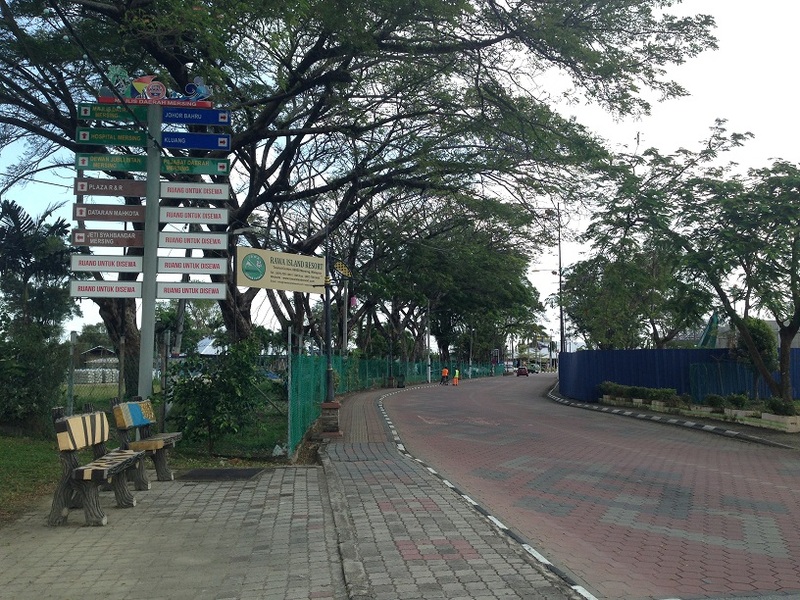 If you will arrive at the Johor Bharu airport, you will need to take Bus 333 from JB airport to the Larkin Bus Terminal (main bus terminal for Johor Bharu). It’s a big, blue and yellow clunker that you definitely can’t miss! It will stop directly in front of the airport and then loop around and stop at the edge of the parking lot. The fare costs 3.50 RM and you need exact change! Otherwise you won’t get any change back if you overpay. The trip to Larkin takes about 45 minutes. Larkin Bus Terminal is an aged, ramshackle station with a few food options and pretty terrible bathrooms. There’s a KFC and Pizza Hut just nearby if you favor being slightly classier! 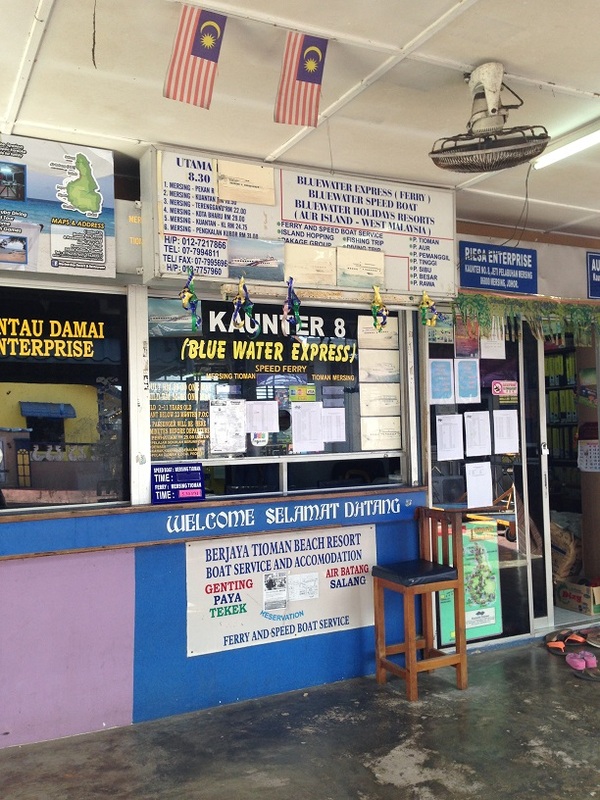 There are 3 different bus companies that go to Mersing (port town where the ferry departs to Tioman), which are S&S International Express, Causeway Link and Transnasional (government bus company). I took S&S and can recommend them (see ticket below). The booth is on the outside row (as can be seen below) and costs 12.75 RM. The bus is pretty average, has big comfy seats, and ice cold AC. The bus I got was the last one for the day for S&S, and it went at 5:45 PM. If you get to Mersing too late in the day or evening to catch the ferry to Tioman, staying in Mersing is very convenient. If you’ve already been traveling all day, this is absolutely what you should do! 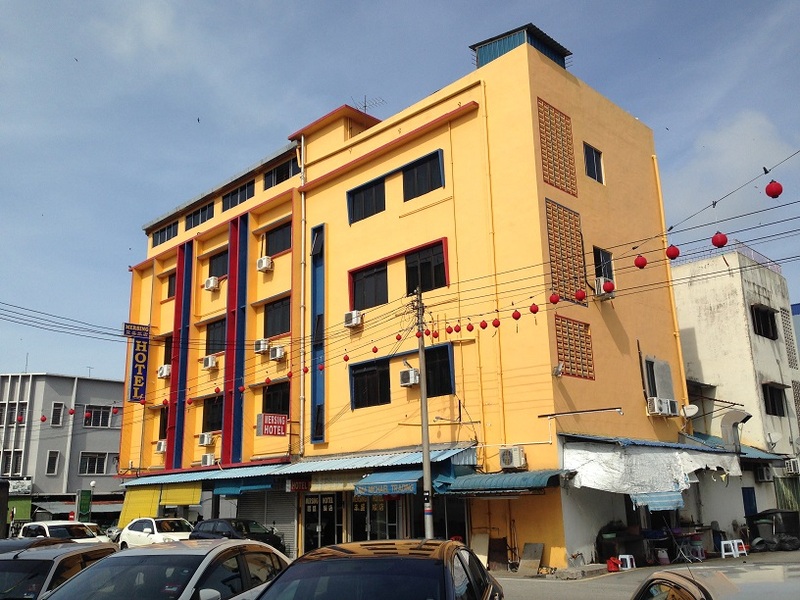 I stayed at the Mersing Hotel and can definitely recommend it, given how cheap it was for a full-size bed and air conditioning (price might be a bit higher during dry season!). They also have a free ferry transfer for each one that goes daily. In the dry season, there are up to 3 ferries departing per day to Tioman, given how many tickets they sell ahead of time (which you should definitely do!). The ferry port is a short 15 minute walk from the main town area. Follow the road past this sign and you will come to the intersection below. But, do not be fooled! This building houses 1 restaurant and about ten different travel agencies which are more than happy to sell you a ferry ticket MUCH higher than the normal price. DO NOT GO TO THIS BUILDING! To the left in the intersection, you’ll see some brick arches with a sign that says “Mersing Ferry Port.” This is the real port where you can buy an official ferry ticket. Find counter number 8 on the left hand side. You can buy a ticket for the Blue Water Express at this counter. At the time of writing, the ticket was 35 RM one way. The ferry schedule differs every day by 1 hour to account for the shifting of the tides. As stated before, in dry season there are up to 3 ferries per day, and in rainy season, only 1 per day, which can even be cancelled if the seas are too rough. It is best to either go straight to the port when you arrive in Mersing, or ask your hotel reception for the current ferry schedule. 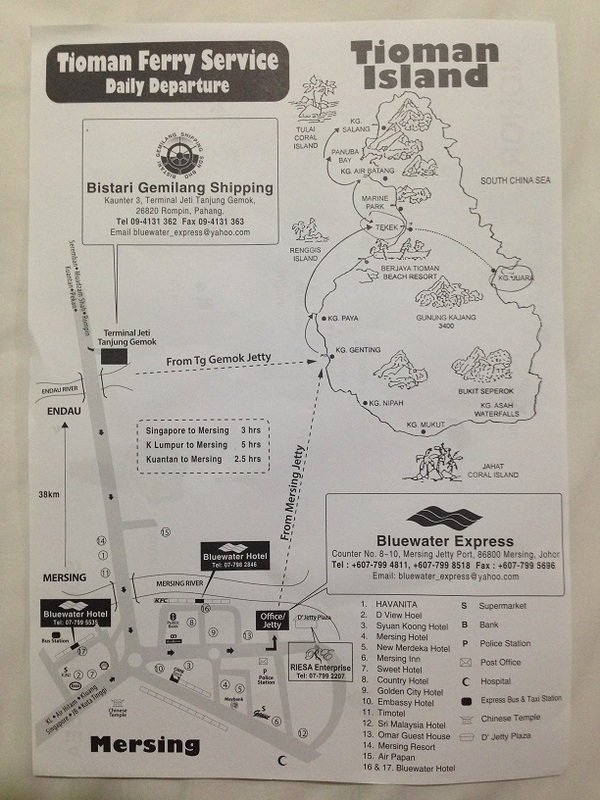 This map shows all the stops that the Bluewater Express makes on the west coast of the island (to go to Juara Beach, you’ll have to get a 4×4 taxi costing about 25 RM each way). 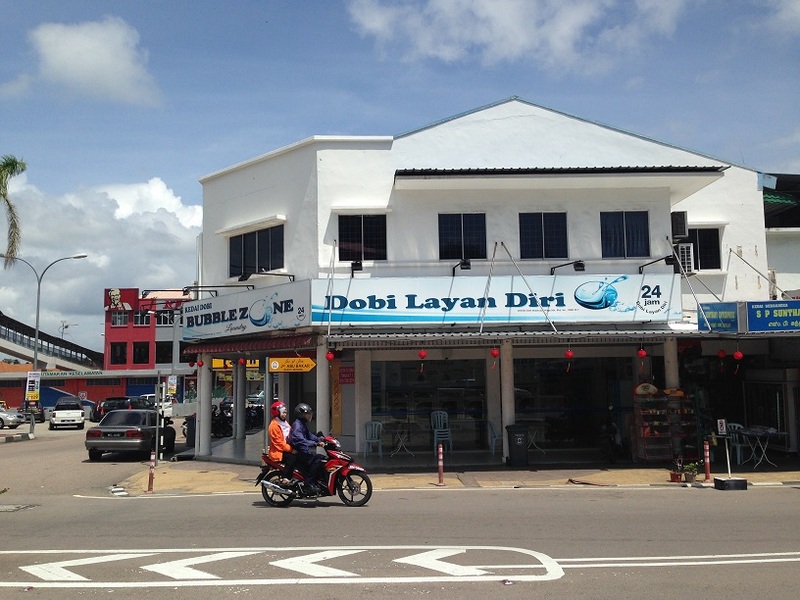 If you end up with extended time in Mersing and need to take care of some normal backpacking chores, there is an awesome little laundromat called Bubblezone in the center of town. This was probably the best laundromat I’ve ever been to. Inside were very extensive, detailed instructions (in English!) on how to use both the washers and dryers. 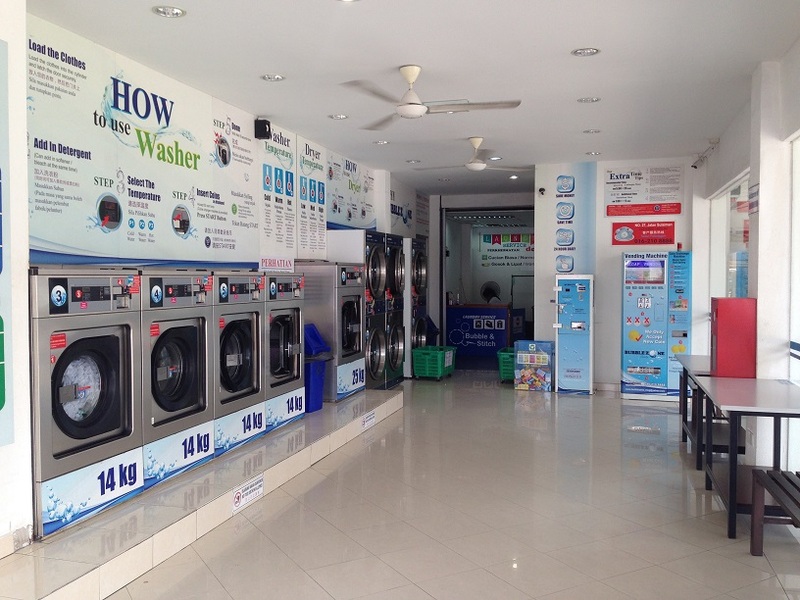 There is even a fully functioning change machine that also dispenses detergent, and the place also offers free wifi! This laundromat just rocks. There is also a post office with friendly, English speaking staff on the way to the port, should you need to mail home extra stuff that you wish you didn’t pack (as I did). 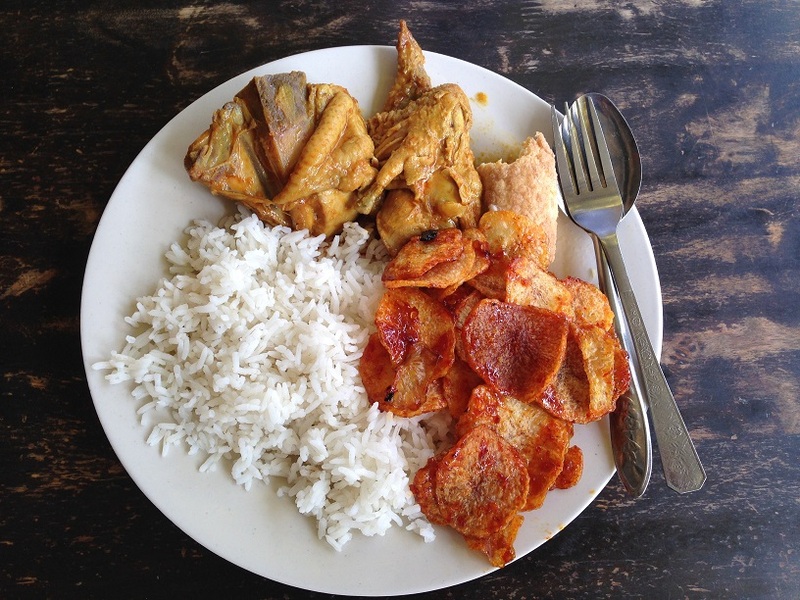 There are several excellent little restaurants and cafeterias serving up delicious Malaysian cuisine around as well. I hope you’ve found this handy little guide useful, and enjoy your stay on Tioman! Once on Tioman, you should definitely consider booking a trip to Coral Island and check out the most awesome underwater views in Malaysia. There are three bus companies that go to Mersing from Larkin – S and S, Causeway Link and Transnasional (gvt bus company). Larkin is undergoing quite dramatic renovations as of August 2017, so the buses now leave from different locations within the terminal. Also, Pizza Hut nearby does other food besides pizza and is quite nice and air-conditioned. Elz, awesome insight, and big thanks for the updated info!